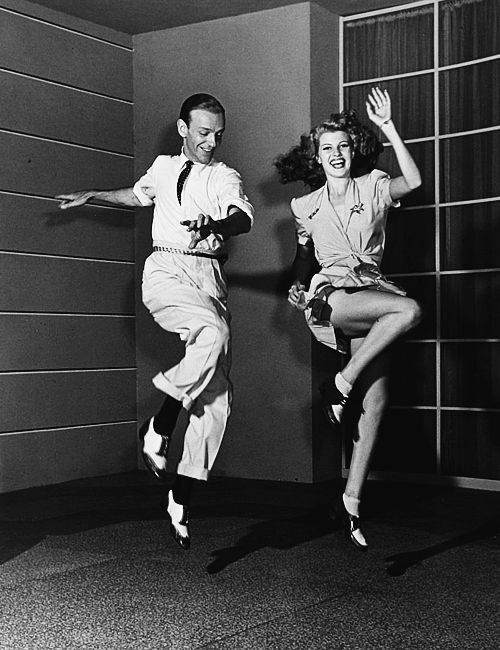 Fred Astaire and Rita Hayworth dancing away in the movie You Were Never Lovelier (1942). The number is called The Shorty George and they just make it seem so easy, not a drop of sweat. It is just effortless. I recently read and article stating that dancing is good for your health and watching these two I believe it. See them in motion, they start dancing together at 1:43. *MMiH is an ongoing series that features people that simply belong together. In an instant, their magical moment is immortalized. Just looking at them makes you wish you were there. See more great photographs on my Match Made in Heaven Pinterest board.